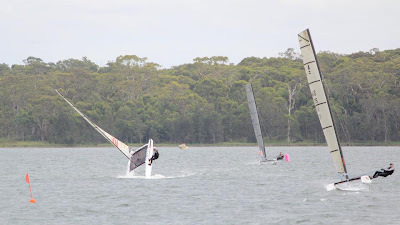 The John Cootes Furniture Warehouse Open Cat Regatta at Mannering Park Amateur Sailing Club was an outstanding success. 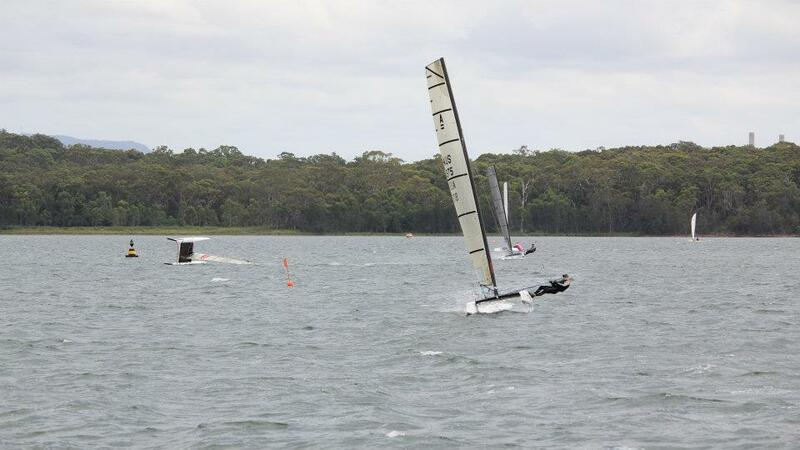 63 boats started in 4 Divisions this also included the Nacra NSW State Titles. The event sponsor, John Cootes being an avid sailor competed in the A class Cat division and was the oldest competitor at the event. The weekend winds where favourable with Saturdays winds between 12 to 15 knots NE and Sundays winds reaching 20+ Knots NE which provided spectacular and challenging racing. 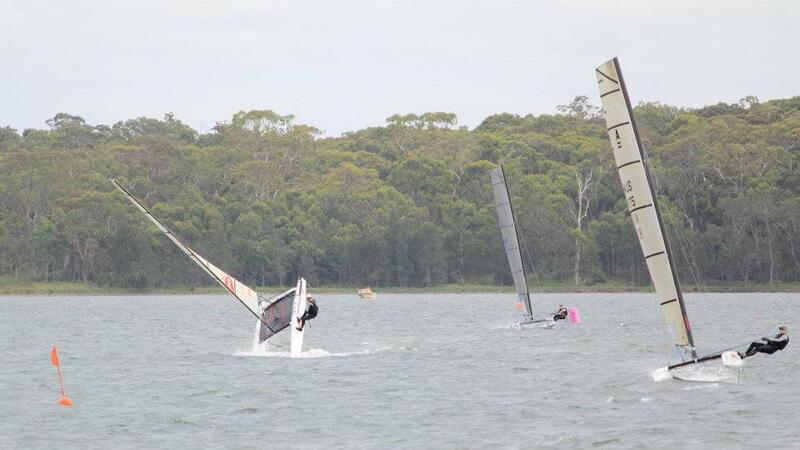 The A Class fleet had some great racing with 14 boats racing. 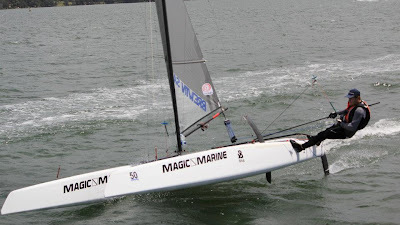 The fleet included Olympic, AC and World champions Darren Bundock, Nathan Outteridge, Steve Brewin the current world champion in the A Class and James Spithill. Team Harken were again there with Steven Brayshaw making the trip up from VIC to compete along with James Spithill, Steve Brewin & Grant Pellew. 12 Konrad Schultz 63 Geltec / ? / ? 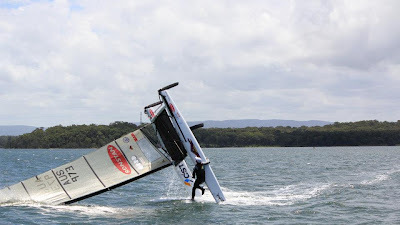 Funniest moment on boat: Watching other sailor trying to water ski behind their boats due to the new curve boards on the boat making them lose control. 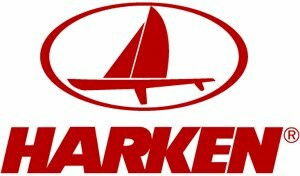 Why Harken: Stupid question the best yachting gear brand by miles. 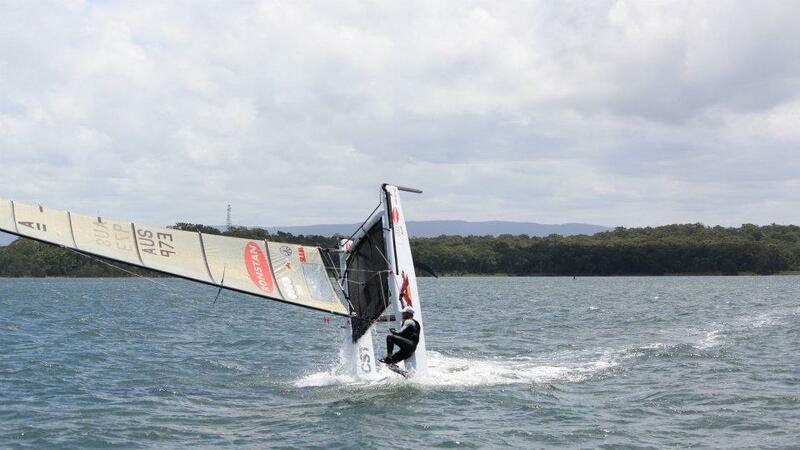 Can’t break Harken gear no matter how hard you try. 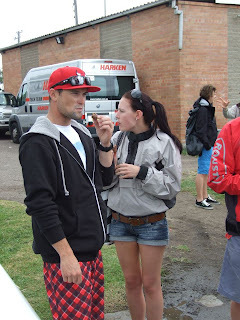 3rd & 4th March’12: Two days, six races and the social BBQ of the year. Over the next few months I'm planning to post some profiles of the Harken team sailors to give us an scary insight to what makes them tick and think. 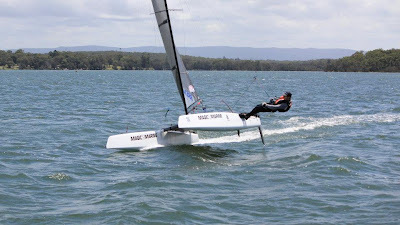 You will also be able to see them and more at http://www.harken.com.au/ also make sure you check out the Harken Facebook page. The Aim here is to increase Catamaran numbers at regattas and club racing. Giving a quick rundown and links to the related web sites. 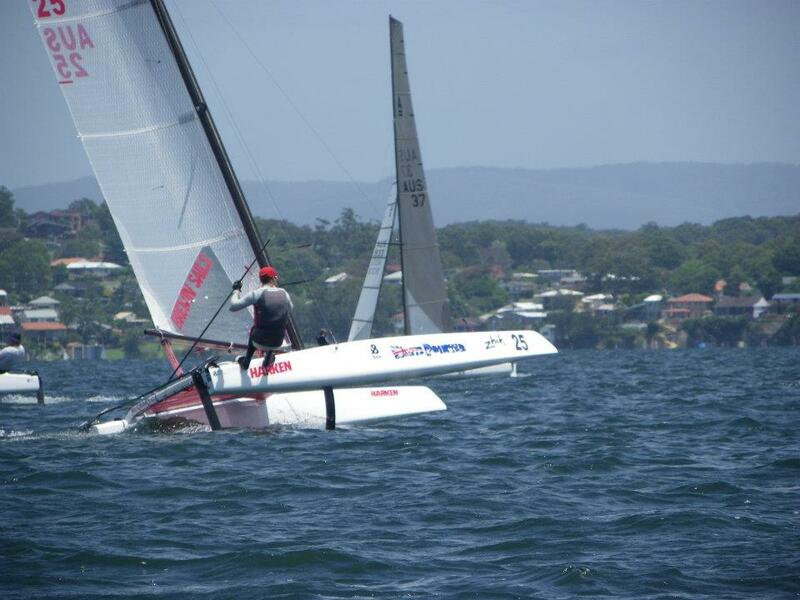 The Hogs Breath 2012 Hobie Nationals were sailed off Mooloolaba on Queensland’s Sunshine Coast. Strong fleets in all divisions, with the current World Champion present in almost every division. 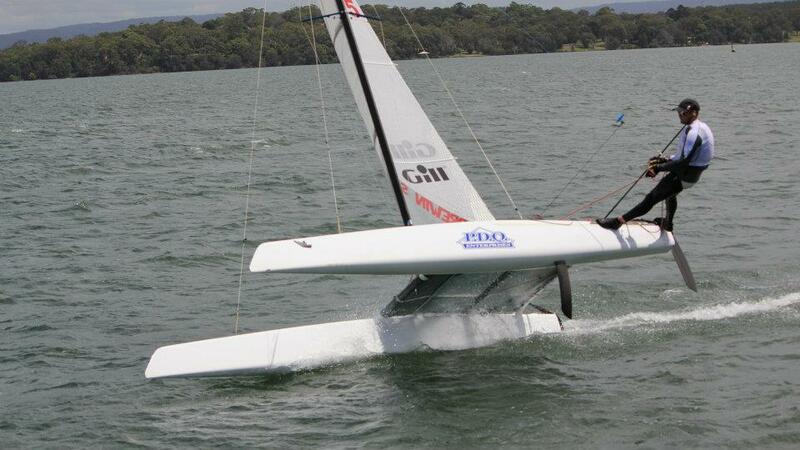 The Multihull division has grown again. These guys and girls backed up after the Hobie Nationals to sail another 10 races! Oh to be young and slim…This Regatta chose the Australian Youth Team for the ISAF Youth Worlds in Dublin latter in the year. More rock stars than the big day out! More glamour than Hollywood. 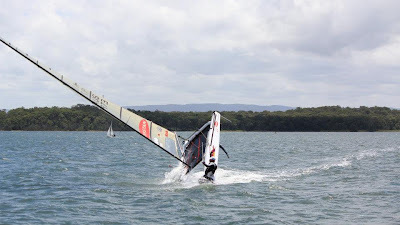 All the stories, photos and results can be found at the link above, including a “How to” story explaining the art of Trapezing downwind on one of these rocket ships. First at home regatta since 2003. 28 & 29th January. The A class & F18 fleets will be at this one. Australia’s most successful Multihull club is celebrating 50 years on the 11th of February. If you disagree you will just have to come down to the club on the day and discuss the matter…www.pbsc.org.au Details will be appearing shortly. The Southport Yacht Club is once again hosting Cat Week 2012 commencing 18th February - 23rd February 2012. 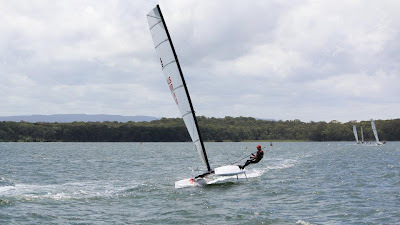 The F18 Queensland State Titles will be held in conjunction with this regatta (21st - 24th February) with $10,000 Cash prize money. Palm Beach Sailing Club’s latest initiative. Got an old Cat sitting under a tree in the back yard. Bring it out to play, Palm Beach Sailing Club will be introducing a special yardstick for older boats to sail at Sand Point on Saturdays. Want to know more? Come down to the club on February 11, for the 50th anniversary celebration. www.pbsc.org.au. • 8 & 9 October: Mannering Park Amateur Sailing Club’s 14' Cat Regatta. 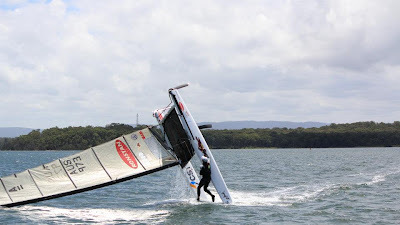 • 6 & 7 November: Kurnell Catamaran Club’s Top Gun Regatta. 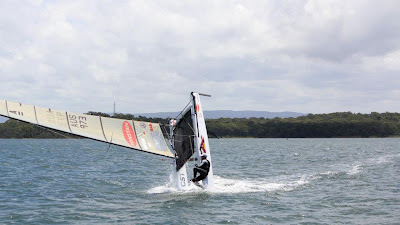 • 27 & 28 November: Port Kembla Sailing Club’s Kembla Klassic. • 11 & 12 February: Koonawarra Bay Sailing Club’s 14' Cat Regatta. • 10 & 11 March: Wallagoot Lake Boat Club’s Regatta. • 6th May: Bayview Yacht Racing Association’s Peter Loft Marathon. Vale Steve Kiely, we will miss you mate. Cannot promise I will publish it but will try! After the last race Jimmy & myself handed over our boats to his father (Arthur) & sister (Katie) for them to do the run home in for some fun and a thank you for their support over the week. Here are some photos from the trip home. Well the Australian A Class Nationals have been sailed and won by Glenn Ashby in commanding style. Ashby's boat handling and balls of steel sailing style gave him the win with a race to spare. The runners up were Outteridge, Brewin & Bundock in that order. The last race was sailed in a nice 10-14kt NE sea breeze where Bundock sailed a perfect race to take the last win followed by Landenberger then Outteridge. As for team Harken results Steve Brewin finished in 3rd followed by Jimmy Spithill 5th, Steven Brayshaw 8th, Jack Benson 14th & myself in 21st out of a world class field of 70 boats. The Wangi Club lead by PRO Tony Outteridge did a fantastic job running the event, a big thank you goes out to the Trolley Dolly girls that got us all in and off the water safely. Normally you would be happy for a regatta to end so you can get a rest but this one was so good that I'm a little sad that it has finished, I cannot wait till the next one.